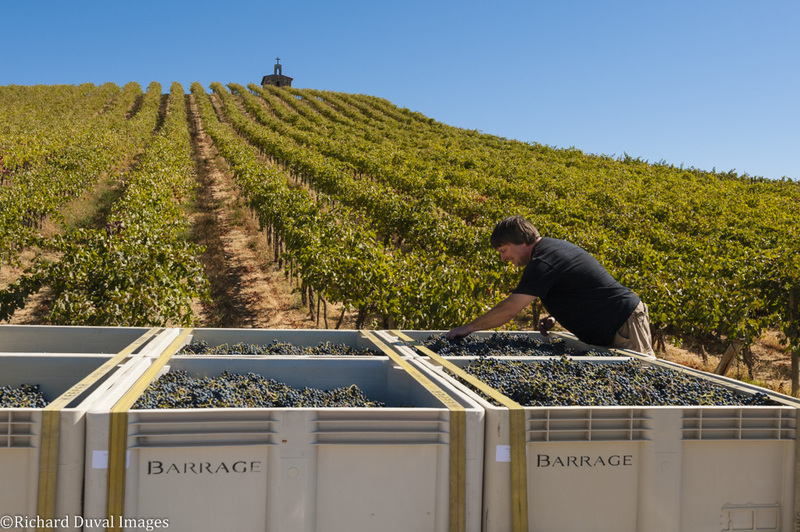 Resident photographer Richard Duval captured winemaker Kevin Correll of Barrage Cellars strapping down two tons of Cabernet Franc grapes just picked from Yakima's famed Red Willow vineyard! Click on the picture to see a larger image. Looks fantastic. Hope a fine vintage follows.